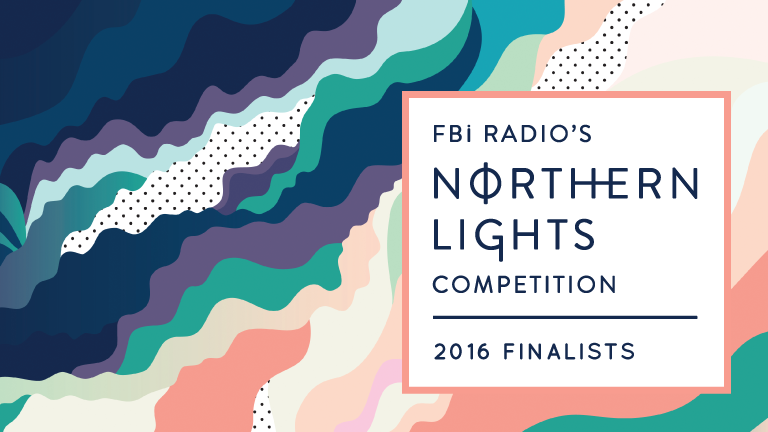 Here they are… whittled down from 600 entries from around Australia, we’re thrilled to introduce you to the eight talented finalists for FBi’s Northern Lights competition for 2016! The calibre of this year’s entries was exceptional, and we’d like to congratulate each of these artists for making it onto the shortlist. The winner will be announced in early September, and the prize is pretty enviable. We’ll fly them to Reykjavik to represent Australian musical talent at Iceland Airwaves Music Festival – joining the likes of PJ Harvey, Warpaint, Julia Holter, Kate Tempest and múm on the official festival lineup. Surrounded by the incredible Icelandic scenery, they’ll have the opportunity to record in Sigur Ros’s picturesque Sundlaugin Studio. On returning to Australia, there’s another three days of recording, mixing and mastering at Studios 301.
Who will it be? Find out soon: we announce the winner in early September. For now, get familiar with all 8 finalists with this playlist we’ve put together to showcase their tunes. Listen and read more about the finalists below. Anatole (real name Jonathan Baker) is a producer, multi-instrumentalist and Conservatorium-trained trumpet player from Sydney. His musicality comes across in richly layered compositions and orchestral arrangements that push the boundaries of electronic music. Performing with live string sections and guest instrumentalists, Anatole has shared stages with Vallis Alps, Japanese Wallpaper and Tiny Little Houses. His debut album is due at the end of 2016. Melbourne young gun Baro stands out in a wave of young rappers who are transforming Australian hip hop. His combination of lush production and laid back rhymes has earnt him support slots for Freddie Gibbs, Danny Brown, Badbadnotgood and Remi. Recently, Baro joined Flume on stage for his headline set at Splendour in the Grass, performing a rewritten version of Vince Staples’ guest spot on the track ‘Smoke and Retribution’. His new EP, recorded with a full live band, is due out soon. BUOY (real name Charmian Kingston) has spent the last year steadily building her reputation as one of Australia’s most innovative and interesting electronic acts. Set to a backdrop of intricately textured synths & sampling, BUOY’s music uses vastness & space to highlight her striking vocals. The release of ‘Clouds & Rain’ in April earned her national radio support, rave reviews internationally, and a spot at this year’s Splendour in the Grass. Christopher Port is a Melbourne based solo producer and long time touring member of the Pieater family – playing drums for Airling and #1 Dads, and live samples with Big Scary. Quietly fine-tuning his own music in between tours, Port finally introduced us to his solo work this year. His debut EP Vetement is an exciting and unique take on UK garage. With a nuanced voice that is at once commanding and tender, Georgia Mulligan peel away at an emotional core that often goes unexamined. Her songs are folk anthems of resistance – powerfully sung tales of everyday tragedy. Mulligan has built up a following in Sydney with support slots for s including Julia Jacklin, Eleanor Friedberger and Why We Run. Her debut EP, Our Blood to Part, was released independently this year. Sydney based rock-meets-electronica duo MEZKO released their first single ‘Steady On’ early in 2015. 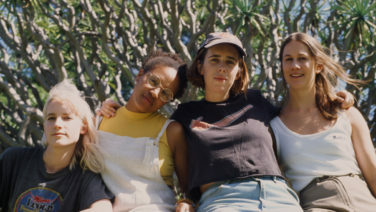 Since then, multi-instrumentalists Kat Harley and Laura Bailey have refined their sound, philosophy and aesthetic to earn a unique place in the local music community. Their melange of krautrock, synthesizers, found sounds, hypnotic vocals and post punk riffs avoids cliche and defies easy labels. The duo has grown a diverse, energetic fan base through memorable live shows alongside the likes of King Gizzard & the Lizard Wizard, Slum Sociable, The Laurels, Gold Class and The Murlocs. Sydney three-piece Middle Kids is made up of Hannah Joy and Tim Fitz, both respected solo artists in their own right, and newcomer Harry Day. While Joy was supporting the likes of Broods, Mansionair and Soak, Fitz was sharing stages with artists such as Matt Corby, Flume and Oh Mercy. Their debut single together as Middle Kids, ‘Edge Of Town’, is a glorious piece of indie rock that has earned them national radio airplay and a place at Bigsound 2016. Keep an eye out for an EP coming soon. 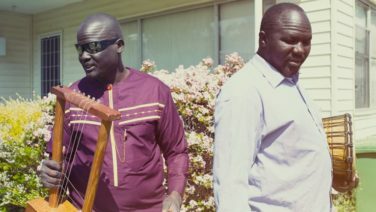 Olivia Hally and Pepita Emmerichs met in music secondary school in Melbourne, drawn together by a shared love of songs with no boundaries or expectations. 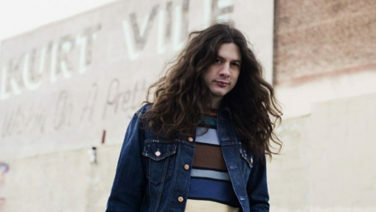 The duo, now both 24, have since written three EPs, but it’s their debut album, Stadium Cake, that truly showcases Hally and Emmerichs’ uniquely compelling collaboration. Oh Pep! Have perfected their live show with tours around Australia, plus international performances at CMJ, SXSW and Nashville’s Americana Music Festival. Which of these acts will be heading to Reykjavik in November? Find out soon – our 2016 winner will be announced in early September.